Simons JP, Greenberg LL, Mehta DK, Fabio A, Maguire RC, Mandell DL. Laryngomalacia and swallowing function in children. Triological Thesis. Laryngoscope 2016; 126: 478-484. PMID: 26152504. Colman KL, Mandell DL, Simons JP.Impact of stoma maturation on pediatric tracheostomy-related complications.Arch Otolaryngol Head Neck Surg 2010; 136: 471-474.PMID: 20479378. Cohen MS, Mehta DK, Maguire RC, Simons JP.Injection medialization laryngoplasty in children. Arch Otolaryngol Head Neck Surg 2011; 137: 264-268.PMID: 21422311. Cohen MS, Zhuang L, Simons JP, Chi DH, Maguire RC, Mehta DK.Injection laryngoplasty for type-1 laryngeal cleft. Otolaryngol Head Neck Surg 2011; 144: 789-793.PMID: 21493369. Wine TM, Colman KL, Mehta DK, Maguire RC, Morell VO, Simons JP. Aortopexy for vascular tracheal compression in children. Otolaryngol Head Neck Surg 2013; 149: 151-155. PMID: 23528271.Buryk MA, Monaco SE, Nikiforov YE, Mehta DK, Gurtunca N, Witchel SF, Simons JP. Preoperative cytology with molecular analysis to help guide surgery for pediatric thyroid nodules.Int J Pediatr Otorhinolaryngol 2013; 77: 1697-1700.PMID: 23993207.Wine TM, Simons JP, Mehta DK. Comparison of two techniques of tracheocutaneous fistula closure: Analysis of outcomes and healthcare utilization. JAMA Otolaryngol Head Neck Surg 2014; 140: 237-242. PMID: 24481224. Robison JG, Thottam PJ, Greenberg LL, Maguire RC, Simons JP, Mehta DK. Role of polysomnography in the development of an algorithm for planning tracheostomy decannulation. Otolaryngol Head Neck Surg 2015; 152: 180-184. PMID: 25389316. Buryk MA, Simons JP, Picarsic J, Monaco SE, Ozolek JA, Joyce J, Gurtunca N, Nikiforov YE, Witchel SF. Can malignant thyroid nodules be distinguished from benign thyroid nodules in children and adolescents by clinical characteristics? Thyroid 2015; 25: 392-400. PMID: 25627462. View Dr. Simons's most current publications. 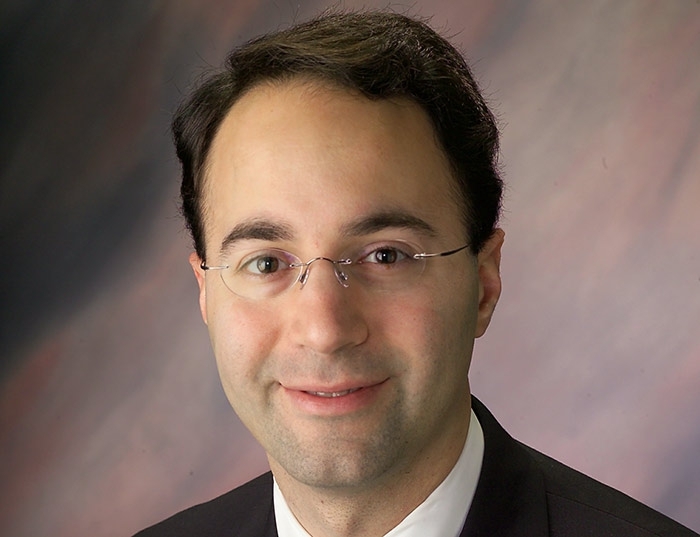 Jeffrey P. Simons, MD is an associate professor of otolaryngology at the University of Pittsburgh School of Medicine and a full-time member of the clinical staff at Children’s Hospital of Pittsburgh of UPMC. He received his undergraduate degree from Duke University and his medical degree from the Washington University School of Medicine. He completed residency in otolaryngology-head and neck surgery at UPMC and then completed a clinical and research fellowship in pediatric otolaryngology at Children’s Hospital of Pittsburgh of UPMC. Dr. Simons is a Fellow of the American College of Surgeons (ACS) and a Fellow of the American Academy of Pediatrics (AAP). Dr. Simons is the Chair of the Pediatric Otolaryngology Education Committee of the American Academy of Otolaryngology-Head and Neck Surgery (AAO-HNS) and the President of the Pennsylvania Academy of Otolaryngology-Head and Neck Surgery. He is also Chair of the Membership Committee of the American Society of Pediatric Otolaryngology (ASPO). In addition, Dr. Simons is on the Executive Council for the Section on Otolaryngology-Head and Neck Surgery of the AAP and has served as a Contributing Section Editor for AAP Grand Rounds for the past 3 years.